4 Beds 3 Baths 1 Partial Bath 2,749 Sq. ft. 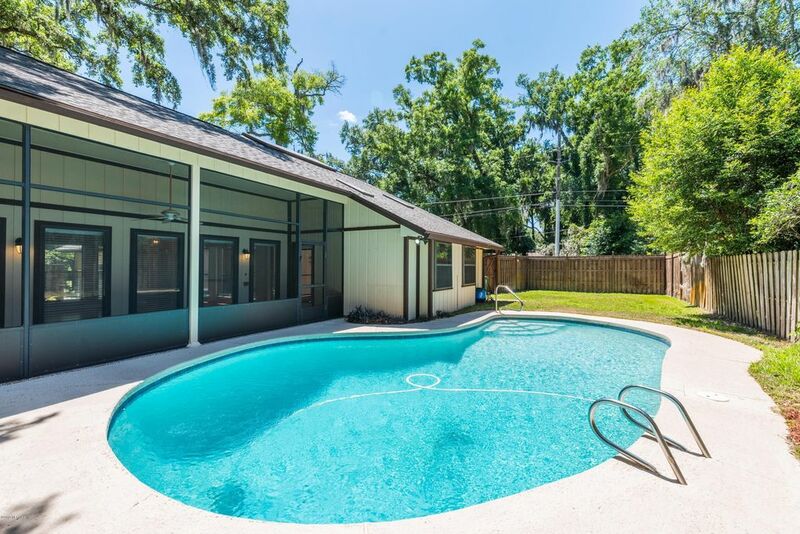 This must see unique Mandarin Pool home is just 1 block from the St. Johns River and has NO HOA or CDD FEES. This home features a new architectural shingle roof (2018), 2 HVAC units (replaced 2010 & 2017), In-ground pool (resurfaced 2014), screened lanai, stone front fireplace, wet bar/room, multiple smart home upgrades, pre-wiring for built-in generator, irrigation system with yard well & pump, screen covered atrium (perfect for gardening), fully fenced back and side/front yard.This home is also on a corner lot with plenty of parking, and is just minutes away from the public boat ramp. The granite countertops, glass top stove, and double ovens are just a few of the additional upgrades you'll find inside. Come see for yourself why this is the perfect place to call home! Directions: Heading south on San Jose Blvd, t/r on Beauclerc Rd, t/r on Forest Cir, t/r on Isser Ct. House is on the left at corner of Forest Cir & Isser Ct.